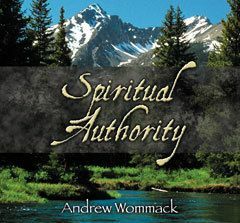 Understanding spiritual authority is vital. Many of us are confused and defeated because of a lack of understanding in this area. We passively wait on God to do what He has already told us to do. Or unknowingly, we take upon ourselves the responsibility of doing things that belong to God alone. This leads us to blame God for things that aren't His fault, which pleases Satan. If he can make us think that everything is controlled by God, we'll become passive and allow Satan free access to sow destruction in our lives. This series takes the cover off Satan's deception and shows us the power that God has committed to us. Watch your faith soar and your situations improve as you receive the truths of your spiritual authority in Christ. In God's recipe for success, understanding spiritual authority is an indispensable ingredient. Failure to understand this critical issue causes many to passively wait on the Lord to move in their lives when in actuality, God is waiting on them to exercise their authority. Once we become aware of the spiritual forces we are dealing with, the most common mistake is to overrate our adversary. This teaching explains that Satan's authority comes from us, not God. Understanding this will forever change the way you resist the devil. Satan is not in direct conflict with God. That battle has already been fought and won by Jesus. All the devil can do is deceive us and if we yield to him, we are the ones who stop God's power from working in us. Satan's only power is deception. That's how he fights us. Knowing this removes the deception and renders him powerless. All authority in the natural comes from laws. Police would be powerless if they were not enforcing laws. Likewise, in the spiritual realm, understanding the spiritual laws are a necessity for understanding and releasing authority. Whether or not we have authority is not the only issue. The manner in which we assert our authority is all important. Lawbreakers don't automatically submit to the police. Sometimes, they have to be subdued. The devil won't submit to Christians even though they have the greater authority, unless we get violent (Mt. 11:12).